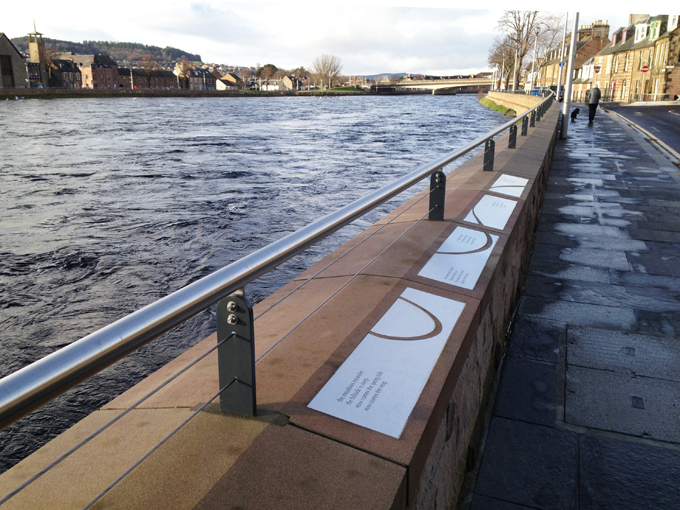 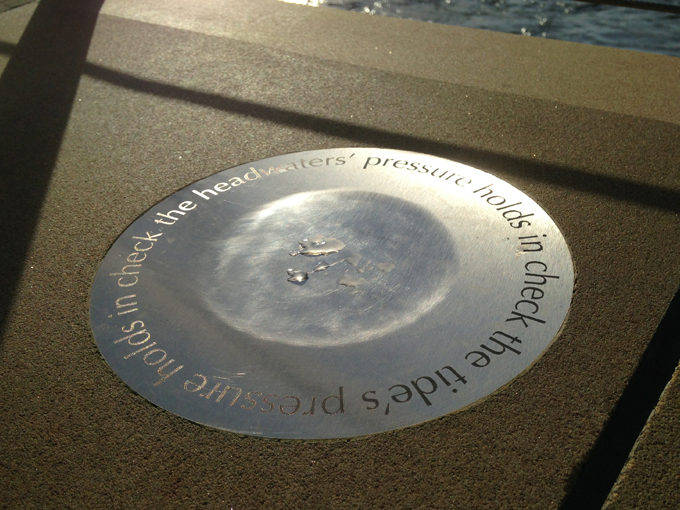 This series of inter-related works was commissioned to highlight the ways the River Ness connects contemporary Inverness to other times and other places. 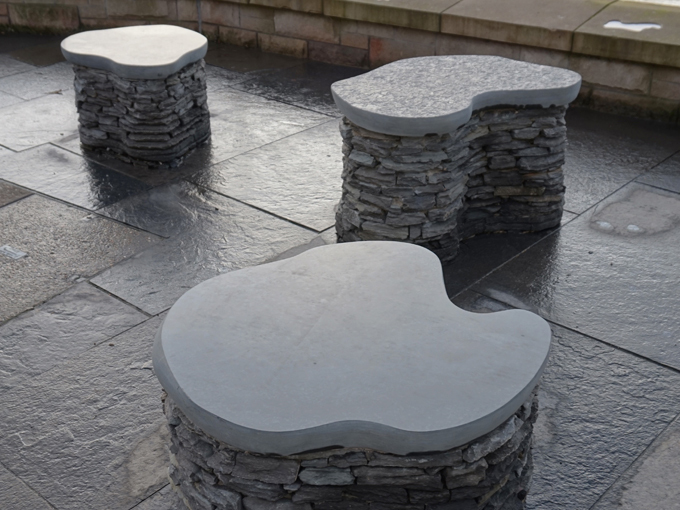 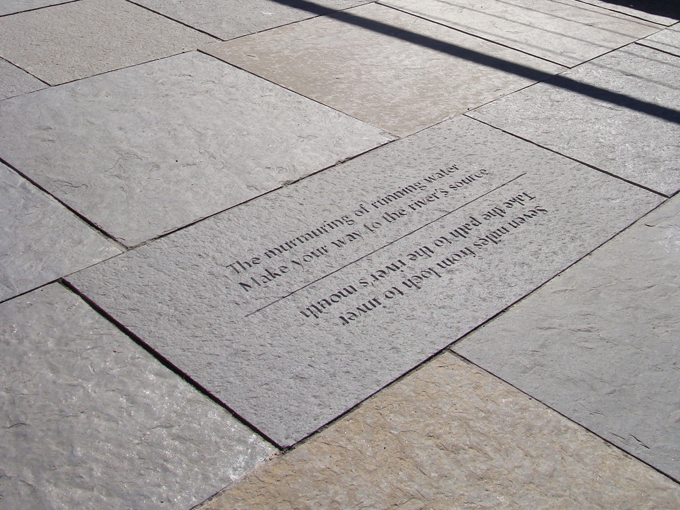 The scheme involved work inlaid and carved into the flood wall and pavement, and sculptural seating. 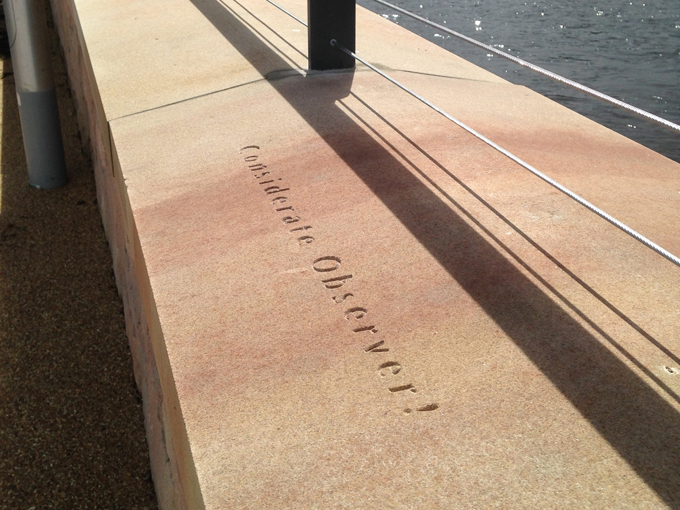 A cycle of specially written poems was commissioned from Ken Cockburn, working to a brief drawn up by Mary. 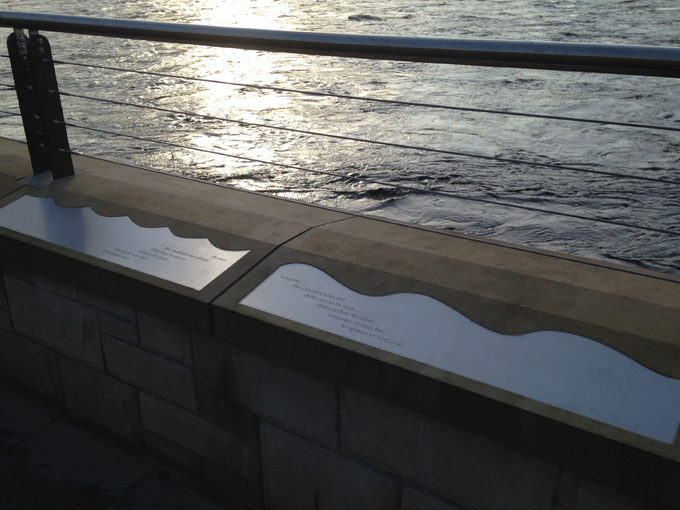 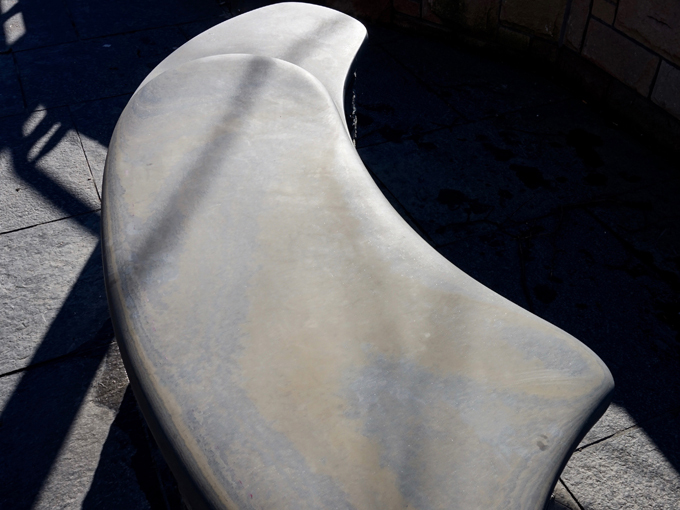 She also worked with George Gunn, a master dyker, to create sculptural seats that represent key points in the river’s progress: its headwaters, the point at which the downward flow of the water is held in equilibrium by the upward flow of the incoming tide, and the point at which the river meets the sea. 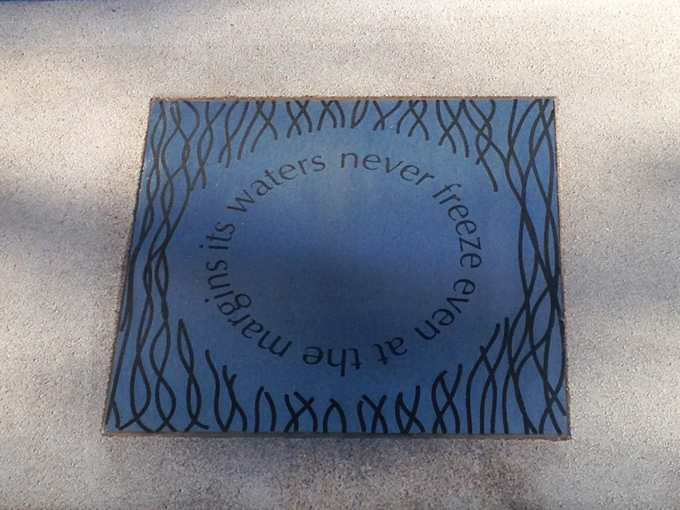 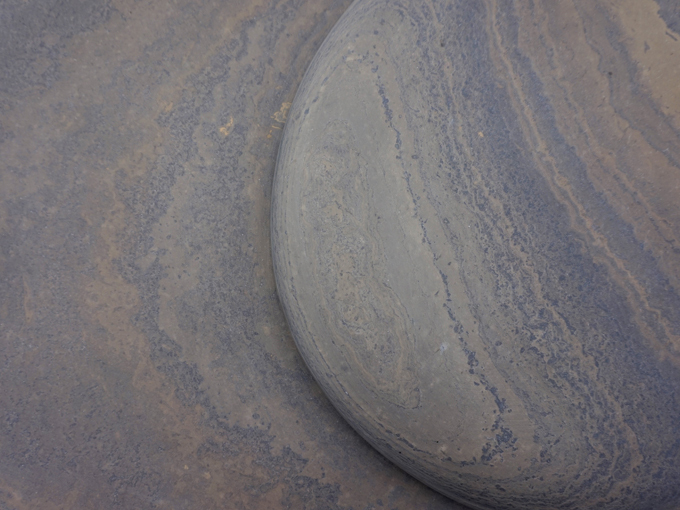 Please also see the Engagement and Education page for information on the Merkinch Circles project which formed a part of River Connections.